This is photo #2 (of 3) that Steve Elliott sent me. The date is December of 1969. Jon’s back is at the left. Steve Elliott is playing bass and to the right is John Carstensen doing his best Annie impersonation. 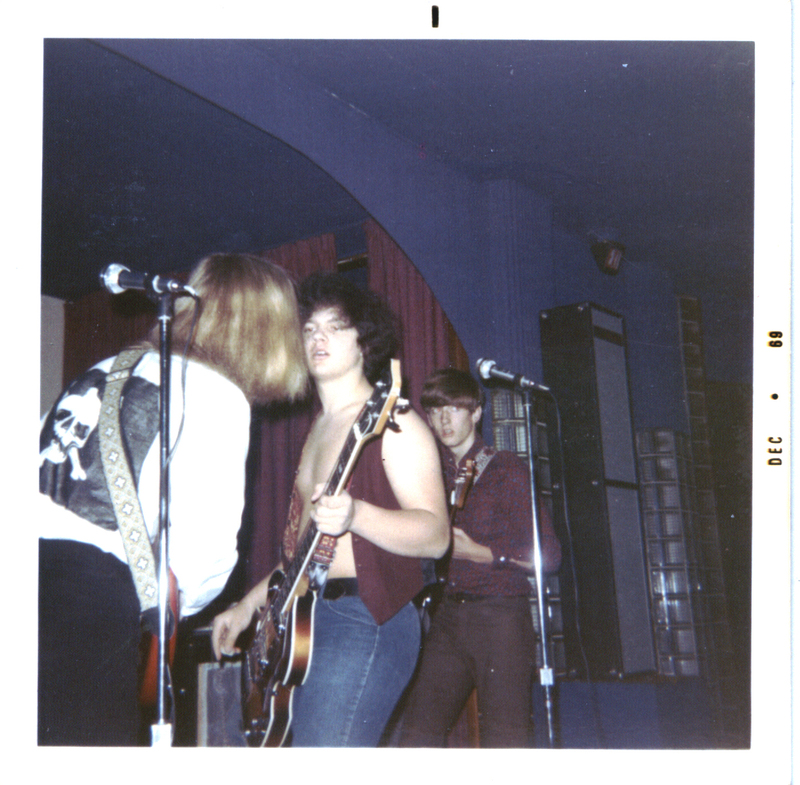 The boys are onstage at the Hullabaloo that was a big venue for live music in the Quad Cities during the mid to late ’60’s.